Director – Richard Donner, Screenplay – David Seltzer, Producer – Harvey Bernhard, Photography – Gilbert Taylor, Music – Jerry Goldsmith, Special Effects – John Richardson, Makeup – Stuart Freeborn, Art Direction – Carmen Dillon. PC – A Mace Neufeld-Harvey Bernhard Production. Moments after his son is born in Rome, ambassador Robert Thorn is approached by a priest and told that the baby is dead but that a replacement can be offered. Thorn accepts the offer with the conditions that he not tell his wife. Soon afterwards, Thorn is appointed as US ambassador to England. As the child Damien grows up, he is surrounded by a series of strange deaths. A priest comes to Thorn, telling him that Damien is a son of the Devil and the anti-Christ. Thorn has him thrown out but shortly after the priest is bizarrely killed. Soon, events force Thorn to confront what the priest says as truth. He and a journalist set out on an international quest to find a means of killing Damien. The Omen was a groundbreaking film and one of the big box-office hits of the 1970s. The film came with a wonderfully catchy promotion campaign – of a poster featuring the silhouette of the child in black, which melded into an inverted crucifix against a scarlet red background and the tagline “Good morning. You are one day closer to the end of the world.” All of which served to make The Omen a big hit. 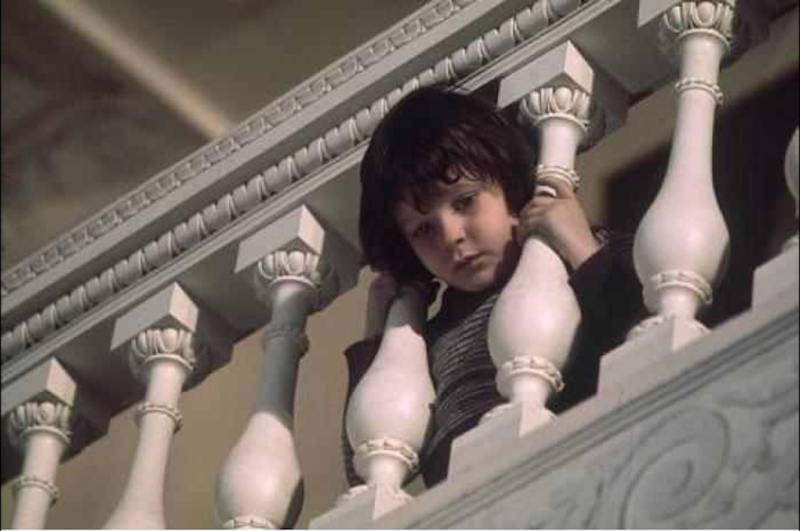 Like Rosemary’s Baby (1968) and The Exorcist (1973) before it, The Omen tapped into a 1970s fascination with the occult, evil children and a pre-millennial harbinging about the end of the world. The Omen was made around the same time that quasi-apocalyptic disaster movies such as The Poseidon Adventure (1972) and The Towering Inferno (1974) were hitting big and tapped into an undeniable fascination fed by Vietnam and Watergate that the world was falling in and nearing the end. Around the same time, Christian author Hal Lindsey broached the best-seller lists with his work of Biblical non-fiction The Late, Great Planet Earth (1970) where he interpreted the Book of Revelations and prophesied the signs as being right for the Biblical End of the World and the coming of the Anti-Christ. Despite the presence of two religious advisors listed on the credits, The Omen is Sunday tabloid Christianity. It works in the same way that Erich Von Daniken and his Chariots of the Gods bunkum reads – as sensationalised science, archaeology and history for those who only have a smattering of knowledge about either. That said, on a level of pure entertainment there is an inspired ingenuity to screenwriter David Seltzer’s reworking of Hal Lindsey’s End Times prophecies and in turning all the Book of Revelations symbolism into an A-budget B movie. Unlike almost every one of the numerous films that sought to imitate The Omen, David Seltzer has gone to The Bible and read up on his source material. (Many of the imitators have not even done that – the third Omen film The Final Conflict, for example, quotes from non-existent books of The Apocrypha). Out of it all, David Seltzer creates a busy plot on a large international stage and Richard Donner directs with a slick commercial polish. The novelty of The Omen was as much its End Times sensationalism as it was the way that supporting characters were dispatched with spectacular ingenuity – Patrick Troughton vertically impaled by a pole, Lee Remick thrown out of a hospital window to bounce through the roof of a passing ambulance and, best of all – the scene that was the talking point of the film at the time – David Warner’s famous decapitation by a sheet of glass. There does seem a certain silliness to it – if the Devil is out to kill all those in opposition, why does he not do so before they deliver their message or manage to help those on the side of good? The story also needs someone less wooden than Gregory Peck to enervate it – the most expression he ever seems to give at the thought of the Biblical End of the World and having to murder his son is a worried narrowing of the eyes. Lee Remick is equally blank, although good support does come from David Warner and especially the wonderfully sinister Billie Whitelaw who leaves a suggestion of surliness lurking beneath her mannered politeness. The twist ending does sustain a sinister and sardonic note. Also of complement is Jerry Goldsmith’s much imitated, superlatively sinister score. The Omen was listed by the Medved Brothers in The 50 Worst Movies of All Time (1977) but certainly is not that bad. It is highly entertaining hokum. There were three sequels to The Omen:– Damien: Omen II (1978), The Final Conflict (1981) and Omen IV: The Awakening (1991). The Omen (2006) was a remake, while the short-lived tv series Damien (2016) was a further sequel to the original following Damien through his teenage years. 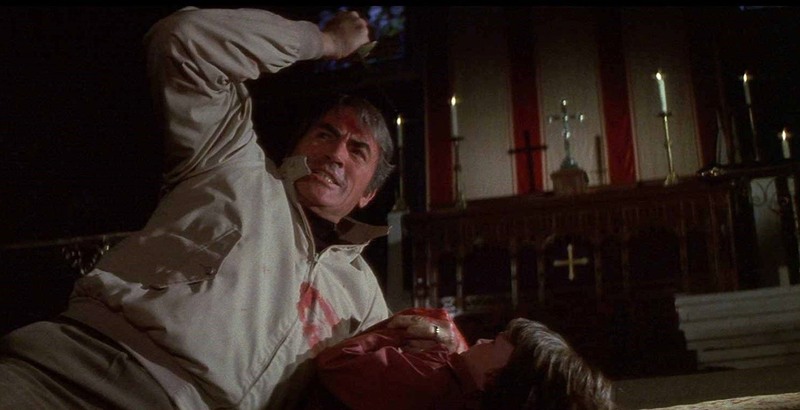 The Omen (1995) was a tv pilot that had Richard Donner’s name attached, although is unrelated to the films in any way. The Omen Legacy (2001) was a documentary about the film series. There were a host of cheap, usually Italian-made, horror films that came out exploiting The Omen, copying its novelty deaths and making spurious Biblical connections. Two of the more interestingly serious-minded and original Biblical End Times films were The Seventh Sign (1988) and The Rapture (1991). Recent years have seen a number of films revisiting the End Times Prophecies genre but made from a Christian perspective with the likes of The Omega Code (1999) and Gone (2003), a mini-genre has been plumbed with almost obsessive regularity by the Toronto-based Lalonde Brothers and their Cloud Ten Productions in their tetraology Armageddon (1998), Revelation (1999), Tribulation (2000) and Judgment (2001), and a further series beginning with Left Behind (2000). The Omen was an assured breakthrough for director Richard Donner. Richard Donner had debuted with the little-seen Space Age film X-15 (1961) and thereafter spent a decade directing television, including classic series such as The Twilight Zone, The Wild, Wild West, Gilligan’s Island, The Fugitive, The Man from U.N.C.L.E, Get Smart, The Six Million Dollar Man, as well as the award-winning tv movie Sarah T: Portrait of a Teenage Alcoholic (1975). Donner subsequently went on to considerable success as a mainstream director. He has made a number of other genre films – Superman (1978) based on the comic-book superhero, the fine Mediaeval romantic fantasy Ladyhawke (1985), the updated Dickens tale Scrooged (1988), the interestingly dark children’s film Radio Flyer (1992), the dud conspiracy comedy Conspiracy Theory (1997), the dull Michael Crichton time travel film Timeline (2003) and Superman II: The Richard Donner Cut (2006), his originally intended edit of Superman II (1980), which he had been removed from after much in-fighting with the producers. By the late 1990s, Richard Donner seemed to be a spent force, turning out endless sequels to his Mel Gibson hit Lethal Weapon (1987) and flops like Assassins (1995), which seem interested in registering more as insipid light comedy than action. Donner has also produced The Lost Boys (1987), the horror anthology tv series Tales from the Crypt (1989-96) and its two film spinoffs Tales from the Crypt Presents Demon Knight (1995) and Tales from the Crypt Presents Bordello of Blood (1996), Delirious (1991) about a writer trapped inside his own soap opera, the monster hunter film Matthew Blackheart (2002), and the comic-book adaptations X-Men (2000), Constantine (2005), X-Men Origins: Wolverine (2009) and X: First Class (2011). Screenwriter David Seltzer went on to write other mainstream films such as Punchline (1988) and Bird on a Wire (1990). Seltzer returned to genre material with his scripts for Prophecy (1979) about a pollution-mutated bear, the ghost story Dragonfly (2002) and then went back to Biblical End Times themes for The Eighteenth Angel (1998), the 6-episode mini-series Revelations (2005) and the 2006 remake of The Omen.